"Street Spirit (Fade Out)" (commonly referred to as "Street Spirit") is a song by English alternative rock band Radiohead, featured on their 1995 second studio album The Bends. 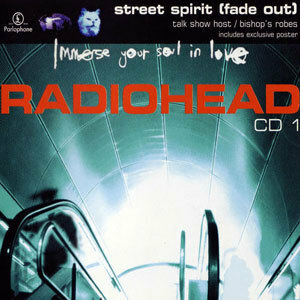 Noted by singer-songwriter and guitarist Thom Yorke as "one of [the band's] saddest songs" and describing it as "the dark tunnel without the light at the end," "Street Spirit" was released as the band's ninth single and reached number five on the UK Singles Chart, the highest chart position until "Paranoid Android" from OK Computer, which reached number three in 1997. 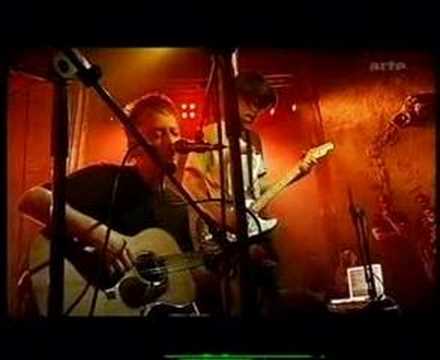 As well as being noted as one of Radiohead's greatest songs, the single is acclaimed for the quality of its B-sides; for example, "Talk Show Host" rose to prominence after it was remixed by Nellee Hooper for the 1996 film Romeo + Juliet, since becoming a regular at Radiohead concerts. Yorke has suggested that the song was inspired by the 1991 novel The Famished Road, written by Ben Okri, and that its music was inspired by R.E.M. The track is built around a soft melody in A minor with an arpeggio (broken chord) guitar part.